Did you know that this Thursday the 6th of July is International Kissing Day? Well it is! This special day is thought to have originated in the UK but is now observed in many countries around the world. Aside from Valentine’s Day, there aren’t many romantic special dates on which you can make a fuss of your loved one. And in this fast-paced modern world, it can be increasingly difficult to make time for romance with your special someone. International Kissing Day is a great excuse, as if you need one, to smother your better half with affection. As well as puckering up and showering them with a few sweet and loving kisses, this special date is also perfect for a surprise gift. A bouquet of romantic flowers is a great way to honour International Kissing Day. As your other half likely won’t realise the significance of the date, a floral arrangement will be an unexpected present and, let’s face it, out of the blue romantic gestures are often the most warmly appreciated. You’ll bank extra brownie points for gifting them flowers on a romantic holiday they probably didn’t even know about! Stuck for floral inspiration? This week we have a special offer on our eye-catching Pretty in Pink Bouquet to coincide with International Kissing Day. 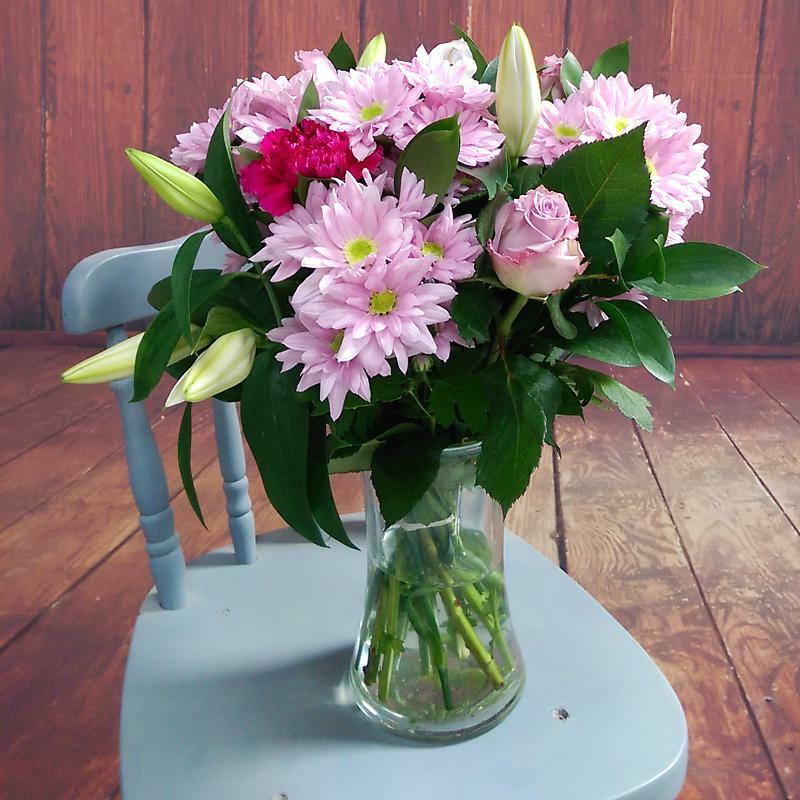 An alluring arrangement of lilies, roses, chrysanthemums and carnations in gorgeous pink, white, lilac and cerise hues, the Pretty in Pink Bouquet is the perfect gift to present to send to your beloved. For a limited time only, this bouquet has been reduced from £34.99 to just £25.99, a saving of 35%. Free next day delivery is included as well, so you can ensure your Kissing Day gift arrives on time!